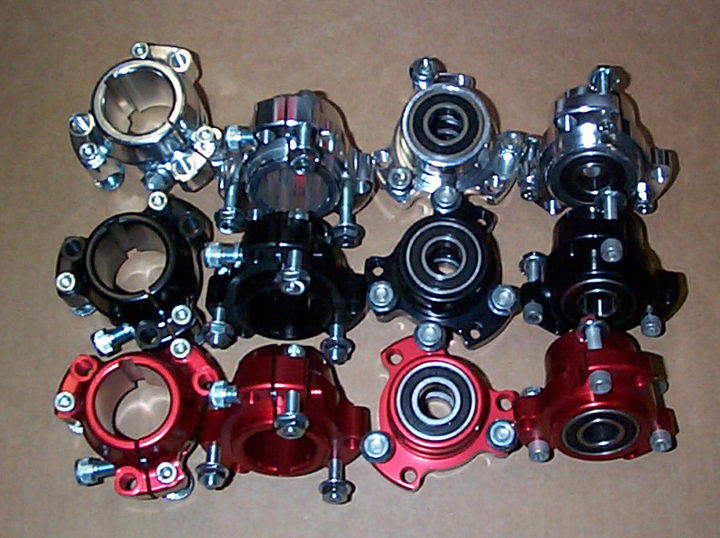 HDM manufactures both front and rear hubs for racing karts. All hubs are CNC machined 6061-T6 aluminum and include studs and lock nuts. As a standard, we supply 1/4" studs will all of our hubs.